In one of the more important homeowner’s insurance cases decided in recent memory, the Massachusetts Supreme Judicial Court (SJC) considered what is covered under a standard Massachusetts homeowner’s insurance policy when rain, snow melt and runoff create water damage and dry rot to the inside of a home. The case is Boazova v. Safety Insurance Co., SJC-10908 (May 29, 2012). The Court ruled there was no coverage under the homeowner’s insurance policy where significant hidden water seepage through foundation cracks caused a kitchen floor to turn into a “spongy and mushy” mess. Under the exclusion for damage caused by “surface water,” the court held, there is no coverage for loss covered by rain, flood waters or runoff originating from outside the home, rather than inside the home, like a burst pipe. This interpretation of the Mass. standard homeowner’s policy is not what most insured expect from their insurance coverage, but unfortunately it puts to rest what most homeowners who have suffered a water damage claim know already: a water damage claim will likely be denied if the source of water is from the natural accumulation of rain, snow melt or ice seeping into the ground, through a roof, or through the foundation. While undertaking a kitchen renovation project, Ms. Boazova, an Arlington homeowner, discovered severe deterioration of the wooden sill plate that rested on top of the concrete foundation at the base of the home’s rear wall, as well as of the adjoining floor joists and wall studs. The kitchen floor and sub-floor was moist, spongy and falling apart. The homeowner’s expert engineer opined that because the concrete patio was poured directly against the house, water and moisture migrated down from the sill plate, below grade to the foundation, causing the water damage. There was no dispute that the origin of the water infiltration and seepage was from outside elements such as rain, sleet and snow melt. The insurance company denied coverage based on the policy’s exclusion for damage caused by “surface water,” and the homeowner sued. The key point is the Court’s conclusion that the surface water exclusion carried the day. Describing “surface water” as “waters from rain, melting snow, springs or seepage, or floods that lie or flow on the surface of the earth and naturally spread over the ground but to not form a part of a natural watercourse or lake,” the judges ruled that there was no coverage because the property damage was a direct result of rain and snow melt migrating down the foundation into the bellow grade kitchen floor. This covers just about every conceivable flooding scenario. As far as what homeowner’s can take-away from this decision, well unfortunately they should keep an emergency capital reserve fund ready because any claims made for water damage arising out of exterior conditions will likely be denied. The only type of “flooding” claims which will be covered would be burst pipes and possibly overrun interior sump pumps or perimeter drain systems which cause flooding — and even those will likely involve a battle with the insurance company. Richard D. Vetstein, Esq. 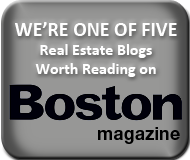 is an experienced Massachusetts real estate and homeowner’s insurance coverage attorney. For more information, please contact him at 508-620-5352 or info@vetsteinlawgroup.com.